Over 1400 runners gathered at the State Course on Saturday having great mid-September racing conditions in very uncrowded race situations for this venue. (excluding Championship Boys) Anticipation was high for those races with many top squads and Indivduals competing. Championship Boys- The boys championship race got out to the normal Carrollton start as teams made a mad dash to the front to avoid a pile up and then slammed on the brakes going up the first hill. Early on we saw the Marietta trio of Benson, Tullos, and Torres (but Patterson and Savic missing) in the lead pack with Shewbert, Page, Cashin, and Moore. Behind them were a slew of teams all jockeying for position. With this being a major ACT weekend, many teams were short-handed -- making this an even more interesting race. By the halfway point, the leaders had strung out a little bit as Torres, Shewbert, and Page started to pull away. Green was doing his best to hang on close, but the others were starting to fall off. The team battle was very interesting at this point as Mill Creek (minus Sam Costa) and St. Pius were duking it out as they moved up through the field. Marietta had the clear front runner advantage, but their 4th and 5th were back. By the 3rd mile Torres looked completely in control of the race, though Shewbert and Page were keeping it close, but Torres proved to be too strong as he pulled away for the win with Shewbert 2nd and Page 3rd. In the end Green was off the pack, but still comfortably in 4th. Cashin and Tullos battled for 5th with the Floridian taking it on the final hill. Thomas Moore and Benson kicked in next for 7th and 8th while George Meyer and Blake Beavers rounded out the top ten. For the team battle it appeared the St. Pius pack had pulled away from the Mill Creek pack, and their 5th man did enough to get them a comfortable win over two 6a squads missing key scorers. Championship Girls- The girls' individual race was a little more straight forward. Heavy favorite Nicole Fegans (undefeated thus far this season) of Landmark took the early lead with Mary Grace Strozier closely in-tow. Etowah runners Macki Walsh and Madison Fowler duked it out with West Forsyth teammates Liz Galarza, Mallory Luskus, and transfer Reagan Poteet to begin establishing the team battle. As was the story in the boys' race, many teams were down a girl or 2 as they were back at home taking the SAT. Strozier held on as long as she could to Fegans but was spent by the 2nd half of the race. She managed to survive a 2nd place finish ahead of a charging quad of Sarah Foreman (Landmark), Kira Stanley (Harrison), Walsh, and Brynne Sumner (Woodstock). Galarza, Luskus, Kimmie Whiting (North Gwinnett), and Kayli Moodi (Harrison) rounded out the top 10. The team battle was essentially a duel between Etowah and West Forsyth. West Forsyth solidified their #1 ranking by running strong on the state meet course while Etowah showed they're easily a trophy contender in 6a. Westminster packed all of their scorers between 21:15 to 21:28 to finish a strong 3rd. An improved Parkview squad placed 2 in the top 20 to secure 4th place -- one point ahead of North Gwinnett and 3 ahead of Harrison who were each missing a varsity runner. Landmark only ran 3 athletes, so they did not factor into the team scoring. 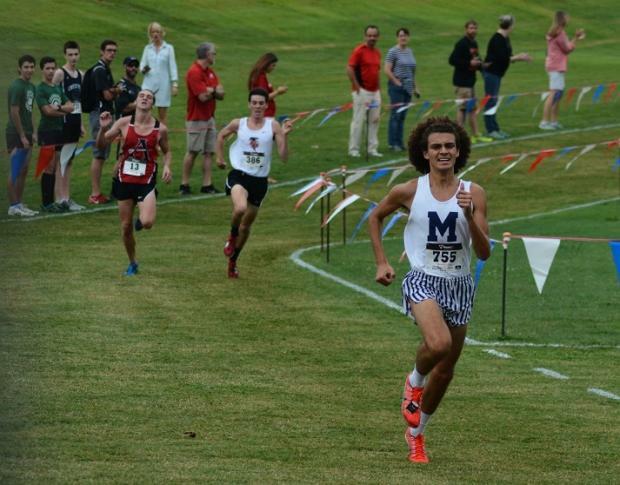 Boys A/AA/AAA- Strangely enough, Westminster ran in the small school race and dominated it with a 1-5 Split of :39. Leading the Cats were Clare Draper in 3rd (17:57) and Jack Powers 4th (18:00). Issac Krumm of Oconee County won the Overall race in 17:52 edging Hebron Christian's Mark Stein (17:55) In a A Private hoedown Landmark Christian bested Hebron by 22 points led by Austin Taylor (18:03) and Seth Cruver (18:14) with Providence Christian 27 points back in 5th. Girls A/AA/AAA- Westminster's JV squad ran in a typical tight pack (:44 1-5 Split) defeating 1A squad Providence Christian. The Cats' were led by Claire Bergman 6th and Maddie Turner 7th. 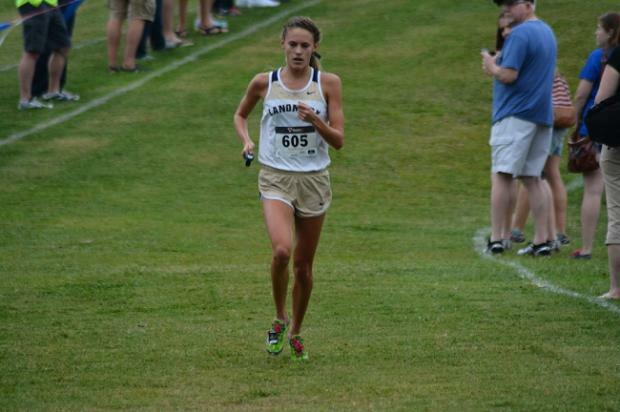 Grace Clements from AA Bremen was the Individual winner in 21:35 followed by PCA's Sydney Hendricks at 22:31. Girls AAAA/AAAAA- This race turned into a showdown of ranked 5A squads with Creekview coming out of the scrap on top. The Lady Grizzlies did by having a nice 1-5 Split of :48 led by soph Bella Thomas' 4th (21:50) and Sarah Disharoon's 7th (21:58) Cambridge (more Bears) took 2nd led by the 5th place finish of Chloe Phelps in 21:53. Forsyth Central was 3rd as Sr. Bonnie McKinnon won the overall easily in 21:01. Bree Cole from Cartersville was 2nd Overall in 21:21. BOYS AAAAAA- In what was definitely a race of many of the ranked 6A teams JV squads, only 1 point separated team winner Mill Creek from Brookwood with Walton 3rd and Parkview 4th. The Hawks and Broncos had a real duel going the entire race but Mill Creek's astounding 1-5 Split of :10.....was the key. Jr Austin Burrows (7th) and soph Brendan Gubitoso (9th) led the Hawks' efforts. Brookwood's top finishers were Thomas Ridley (4th) and Matthew Hanagriff (5th). Winning the Overall race was Harrison Holden of Walton in 18:02 with Jonathan Butler from Rockdale County 2nd in 18:19. Girls AAAAAA- In one of the smaller races of the day Marietta's JV took first as a team scoring 41 points by placing 4 girls in the 4-7 spots besting Walton by 14 points. Leading the Blue Devils' effort was Jr Brennyn Shelton in 22:32. Walton ate up the top 3 places led by race winner Abigail Robertson in 22:37, Allison Mitchell 22:12 and Megan Cushing 22:15.